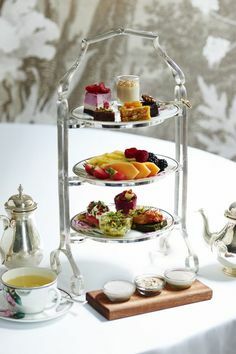 Children, boys and girls alike, enjoy the tea party. And a children’s etiquette tea party is no different. However, the window to capture their hearts on beauty, grooming and etiquette is actually quite small. We recommend between six and ten years old. 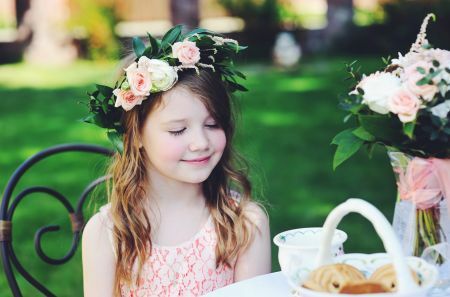 A children’s etiquette tea party is an appropriate, fun setting to teach a few essential etiquette tips. Children want to learn and etiquette doesn’t come naturally. We usually recommend to keep the lesson short if you make them wait before beginning to eat and drink. If you want the lesson to go a little longer, say 20 minutes, it may be best to allow them to eat and drink while you interact with them. Here are three simple etiquette tips you can share with the children at the very beginning of the tea party. Teach the children to find their seats and stand behind their chairs. This allows everyone time to gather and teaches the children to wait for others. Once the assigned host pulls out his or her chair to be seated, the others follow. Teach the children to pull their chairs all the way out so they clear the tablecloth when sitting and not pull it into their laps! Tell them to enter on the left. Ask them why. They’re smart enough. They’ll tell you its so they don’t bump into each other. Teach them to place their napkin on their lap. After everyone is seated, invite your child host to welcome her guests. She knows about this ahead of time. Sometimes they choose to say a simple grace or just a short welcome to their friends. Next, take a few minutes to help children know how to handle their teacups. Children especially love to fill their tea (and we do recommend you serve the real thing!) with cream and sugar. It’s good to provide them with a few guidelines. We recommend a simple tea party menu for this occasion. 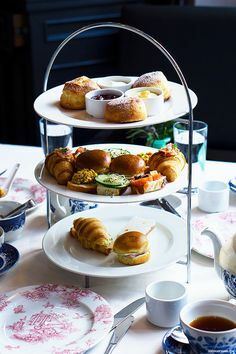 Just some tasty but easy tea sandwiches and scones are always a hit. Hold up a teacup and spoon to demonstrate. Show them how to stir tea without clinking the inside of the cup. Ask them, “Do we shake the drips off our spoon by loudly tapping the side of our cup with it” No! “Do we lick or drink our tea off our spoon?” No! “Do we slurp our tea?” No! Why not? It’s also a good idea to teach them to limit their sugar to only a lump or two per cup! Ideally, children would grow up understanding that etiquette teaches them to think of others before themselves. The goal is not for them to become overly self-conscious, but gracious. 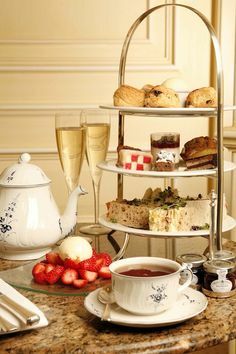 While many manners of children need to be taught regularly, a tea party provides them great incentive for practice. And by all means, once the lessons are over, let them eat cake! So sweet – and they even look like they’re enjoying themselves! I love your tips, as well. Thanks! My favorite etiquette tip is to teach kids that once something has been used, it never goes back on the table (including the napkin, until the meal is over). I recently had a Holiday tea party for my daughters (age 8 and 9). We had a total of 6 girls in party dresses. The menu was simple, pbj uncrustables, pizza puffs, chicken salad, fruit, quiche, and petit fours. We tried and herbal tea, but the girls didn’t like it. I had punch as a back-up. The highlight of the party was the the Etiquette Game. 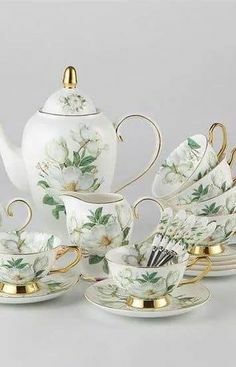 The girls were observed throughout the tea and a muscial teapot was given to the girl who displayed the best manners.